How long will the Negative Credit Entries Show on Your Report? How to help your credit utilization? Can collections be removed from credit report? Can you have closed accounts removed from your credit report? Can you request a closed account be removed from your credit report? Is a closed account bad on your credit report? Can an eviction be removed from your credit report? How long do closed accounts stay on your credit? Do paid collections hurt your credit? Do closed accounts hurt your credit score? Does paying off debt hurt credit? How long before bad credit is removed from credit report? Can you pay off a charged off account? How long can you legally be chased for a debt? Can a debt collector collect after 10 years? How do you deal with collections? Negative items can often be hard to avoid even in an overall good credit report. These items represent certain past financial mistakes, probably committed by you or another business or the credit bureau. The onus is on you to remove these credit report entries in order to boost your creditworthiness. Fortunately, removing negative entries from your credit report is not too difficult. Cleaning up your credit report will help you achieve a better credit score as well as pave the way for a relatively competitive mortgage or car loan. A better credit report also gets credit cards approved faster at more competitive interest rates. Once you identify the negative items in your report, try to calculate the time period for which these negative items will reflect in your credit report. If you are dealing with collections, charge offs, late payments, or foreclosures, you can follow the below mentioned techniques to clean up your credit report faster. The timeframe for reporting negative items on your credit report is limited. It is regulated by the Fair Credit Reporting Act (FCRA). But all neutral and positive items receive an indefinite reporting. The time periods mentioned below indicate how long the negative items will remain on your credit in case you fail to get them removed. Charge-off accounts or accounts that were sent to collections may be reported for up to 7 years. This period might get a grace of an additional 180 days from the exact date of delinquency. Charge-offs will occur when a creditor determines that a debt that is no longer collectible. Instead of carrying it on in their account books as a due debt, they may prefer to eliminate the amount from their reportable due accounts. A company gets account improvements in receivable reports by charging off the debt. This debt will not disappear, but it is sold to a “debt buyer” who is happy to pay pennies on the dollar for a debt’s face value! The debt buyer will now have the responsibility to collect the debt, including court fees, interest, and late charges. Collection accounts can be reported up to 7 years from the date you fall behind on paying to a creditor. Sometimes these collections can be complicated. In an attempt to pay them off, you might end up hurting your credit score. It may reset the date from which the due was reported. In a few states, it could also reset the statute of limitations. Therefore, it is vital to research the statutes before making a repayment. It may be a good idea to check with a consumer finance attorney in your state to ensure that your money is safe and you are making the best decision. Also, beware of giving out all the critical details to collection agencies about your previous or old debts. A single casual acknowledgment can also put you into trouble and reset the clock! Late payments or delinquent accounts are generally reported for up to 7 years after the date of your last scheduled due payment. In case you choose to clear or make the payment later, your account (which is a part of your credit report) might show that you were formerly a defaulter or paid past due date. Nevertheless, some creditors choose not to report the past due payment, only up until a second payment is outstanding. They prefer not to upset good customers as the person might have simply forgotten to direct a payment across. According to credit reporting rules, every payment missed after a first missed payment should get reported. Bankruptcies sometimes are reported for up to 10 years from the date you filed your case. If the whole case file got dismissed, your 10 years might as well start from the very date on which your case was dismissed. Typically, only Chapter 7 stays on for 10 years since the debts are discharged. Chapter 13, on the other hand, only stays on your credit report for seven years. Foreclosures get reported for up to 7 years. You might as well not qualify for a new mortgage for at least 2 years and possibly longer if you are looking to invest in a property or buy a new house after foreclosure. Judgments get reported 7 years from the date a lawsuit was filed. Sometimes they do not get reported until after the governing statute of limitations expires. A majority of statutes of limitation are shorter than 7 years. This is the maximum time judgments or lawsuits take to appear on credit reports. Still, go through the clauses that your state follows as they might vary from one state to another. Repossessions are likely to get reported for 7 years after they occur. Under the federal law, your credit reports may have unpaid tax liens reported indefinitely. But credit bureaus will choose to remove them after a period of 10 years. Paid tax liens are reported from the date of payment for 7 or more years. Once you have understood the reporting period of all the items, you can assess the best strategy to tackle them. You should prioritize your various credit disputes by focusing on the latest and largest listings. If an item is set to fall off in about one to two years, you may direct your efforts on other items. Of course, these will still be noticed on your credit applications; they may not leave a big influence on real credit score any longer. Below are some strategies to help you remove negative credit report information from your credit report. A common and highly used technique to get negative items removed from your credit report is credit repair. How does it work? This credit repair technique is used to spot mistakes in credit reports such as missed payments. Some creditors fail to verify mistaken information. They can remove such negative items in the report. Additionally, this is a good way to remove re-sold collection accounts. Sometimes, charged-off debts are passed from a buyer to another. Such portfolios include imperfect account info. Hence the collector fails to confirm the original debt. Good credit repair services save your day here and will help you get these accounts removed. While one works in your favor, it helps you to remove negative credit report items. The other is harmful as it is raised when a collector resets a decree of limitation over a given collection action. Your positive re-aging will happen when a creditor updates an account status. It also brings in the current data. You may miss a payment by 30 days, and then the late payment might get reported to the credit bureau. It may also appear negative in the report. If you clear the next monthly payment, you still stay behind. Your account is still delinquent and your credit report shows you behind. Try and catch up so that you stick to get negative items removed month after month. In re-aging, a creditor tells the bureau that your account is current. You can negotiate the same when you schedule a repayment strategy. Making payments induce them to agree and re-age your account. This is not only legitimate, but also a legal way to remove delinquent accounts. In another re-aging system, your debt collection account gets removed. Your collector has 7 years from the date your account became delinquent. Notorious collectors try to re-age this collection account and change delinquency date. So, they can eventually collect for longer. The FCRA or the Fair Credit Reporting Act outlines the type of information that could be registered on your credit report and for how long. According to the FCRA, you have a right to receive a correct credit report. This provision allows you to dispute any potential errors with the credit bureau. These disputes could get resolved via email. A recently ordered copy of your credit report can be submitted online to the credit bureau. In your email for dispute, write about the anomalies in the credit report and submit copies of proof. The bureau will investigate with the correct business and only then remove entries that are errors. You can sometimes choose to bypass the credit bureau and try to settle the dispute directly with the business which reported an error. It could be a card issuer or a bank. Raise the dispute in writing so that the business can do an investigation in depth. If it is a genuine error, they will notify the credit bureau about this error and ask them to correct the credit report with your name on it. Approach the credit bureau and accurately try to explain the negative information. Do not bluff as credit bureaus trust verifiable information only, so dispute with care. Otherwise, an investigation will prove you wrong. Try to negotiate with the creditor instead for getting the negative data deleted so that items get removed from your credit report. You should consider a pay for delete offer with your creditor. This technique can be used against past delinquency. Offer to pay the account and exchange all negative details in a pay for delete negotiation. This is similar to re-aging and applies to accounts in collections. This account might as well get listed on credit reports as public records. Also, re-aging will not work here as active account status gets updated. Collection accounts on the other hand are already moved to charge-off status. Use a payment as a leverage to bargain to boost your credit. Pay a portion and ask the creditor to delete the rest. Offer to pay less to have the whole negative item removed. This is a clever way to settle the debt for a low cost. Try to do this retroactively and you may request a “goodwill deletion” based on your past history of timely payments. While the results are not guaranteed, some collectors might agree and accept your proposal. Pay for delete offer allows you to use cash as a bargaining chip. In case you have cleared the account with some delay, and if you lack good negotiation or conciliation skills, you could be at the losing end. Therefore, engage effective with your creditors and seek a goodwill deletion. Write a letter to the creditor and describe the reasons for your delay. Also, mention how you have always been a good payer and a cooperating client. Ensure that you ask for accounts to get reported positively. Some creditors might not comply while the others might make goodwill deletions if you have the skills to approach the right person and talk politely. This could be your last resort, and you will not need to put in any effort in this strategy. Just keep checking your credit reports periodically to ensure there are no errors. Simply wait for the clock to turn and time will settle everything. All the negative items will gradually get expunged from your credit report without much ado. Simply ensure things are up-to-date and there are no wrong entries or human errors in the report. The US credit system is one of the most gracious ones in the world. Nothing lasts forever in this system, not even negative items in a credit report! Impact of any mistake as a negative item wears off with time and finally disappears. Some credit bureaus eliminate such items after 7 years, as described previously. Yet a few penalties like Chapter 7 bankruptcy might take a longer time, up to ten years to get removed. In case you fail to remove an item through credit repair, try to negotiate with a creditor. This is a good way to re-age your account. While it is the last legal option, in some cases this might work. Try your level best to offset any bad credit effects with negotiation skills. Try to start the exercise well in time. As you know now that the impact of negative items decreases with time, but positive and proactive action can boost your score rapidly. Filing for bankruptcy – It will not remove negative information from a credit report. In case you plan to show debts in bankruptcy, your balance shows as $0. But all your accounts will stay put on your credit report along with all other accounts, which are part of the bankruptcy list. Closing an account – This step will not remove delinquency reporting. Payments from accounts with past due balance still are You need to clear these payments to catch up. It’s just that you cannot use this account anymore. Clearing a delinquent balance – This will not remove the negative entries from a credit After paying the balance, your account status becomes “current”. If the account is charged off or in collections, it will show a different status. Charge-off and collection accounts will never reflect a positive point even after you clear all payments. Your credit card score is determined on the basis of credit utilization first. 30% of your overall credit score depends on this factor. While you can surely exercise control on this part, the good news is you can surely improve upon the same starting today! So, wait no more and take action immediately. Credit utilization is simply the amount of debt you have relative to your credit limits. Try to maintain your credit utilization ratio below 30%. Then your creditors will know that you have the capability to manage remaining available credit in an efficient manner. Of course, you cannot afford to have your balances maxed out. For instance, if your total credit limit is $100,000 and your balance is $30,000, you would be utilizing 30% of your available credit. Smaller the credit utilization ratio, the healthier your score will be. Do not touch the added credit line. Instead, use this percentage increase to drop your utilized credit. Let’s use the same example as discussed above. If you have a $100,000 credit limit increased to $150,000, a $30,000 balance automatically equates to 20% credit utilization. Thus, the credit score certainly recovers in this situation. Your actual payment history is way more important that credit utilization. It might comprise of about 35% of your overall credit score! Hence it automatically qualifies as the largest category within the FICO score card. This is unavoidable as your score is the representation of your true creditworthiness. This numerical value is realistic as it clearly depicts how much risk your lender should expect when you borrow money. People with tarnished or mottled credit histories are often in the habit of making late payments for major bills. In such cases, lenders trust such people less than the other applicants. In case you don’t belong to the defaulter list and have always ensured to pay on time, you obviously do not possess delinquent accounts. This makes you a more likely receiver of high scores, which will serve as a crucial data point to lenders. You will most probably make your payments to them on time, too. All credit bureaus do not receive payment reports from companies. But most credit card and mortgage companies report the same on time to receive payments escalate payments to one or more credit bureaus. In case of credit card request your credit report, expect to see in-depth monthly snapshots of your payment history for your mortgage, car loans, student loans, and credit cards. Some companies save your utility and cell phone providers yet fail to report on-time payments. However, they keenly report your late payments. Therefore, build a good payment history to earn a better credit score. If you have patience and show some endurance, your plan will work. Patience is essential to fix your bad credit this year. You can choose to improve your credit score by adding yourself to an existing user’s credit card who has a good score. While your credit history timeline accounts for 15% of your FICO score, getting a parent or partner will reduce your total average length. Ensure that your account is in good standing, as you will inherit points from their payment history. If they are irregular paymasters or stop making payments altogether, all this will show up on your credit report. Try to access the line of credit cautiously as your friend or relative’s card use can affect yours and vice versa. Together you both will be responsible for the balance of the cards. In case you make purchases and don’t pay, the card owner has to pay on your behalf. So, try and steer clear altogether from such financial inefficiencies. Wherever required, you could seek professional help to have negative entries removed from your credit report. Certified professionals could handle your situation like a pro, give you the right advice, and help you get negative items removed a lot faster. Not a bad deal! Having a negative item on your credit report is one of the biggest factor that determines your credit score, and therefore, your ability to apply for a credit or loan. Learn the basics of what goes on your credit report and how to manage them with these tips. Learn what you can and cannot do with different types of items on your credit report. Yes. You can wait at least 7 years when most collection items will be removed from your report, or you can try to negotiate with the credit bureau how you can pay fees to have them removed. Yes. In fact, you will just have to wait as closed accounts are deleted automatically from your credit report after 7 years. Yes, although there is no guarantee that your request will be granted. It will depend on the reason for the closure, as well as your credit history. If you closed the account because of failed loan payments, then yes, because closing an account doesn’t delete the delinquency reports. No. Paying off a collection doesn’t delete the record from your credit report, unless you explicitly request for it by negotiating with your creditor or collection agency. Yes. In most states, it is actually deleted after 7 years. But you can try to negotiate for it to be deleted earlier depending on your credit bureau. You’ll have to wait around 7 years for charge-offs to be cleared on your credit report. Or you can try options to speed up the process such as re-aging your account or credit repair. While you can negotiate with credit bureaus about negative items on your credit report, closed accounts usually are reported for 7 years. You choose to ask for a pay for delete option, where you pay a certain amount to have it removed from your credit report, or you can wait for 7 years for it to be cleared. You can file a dispute against the inquiry. If your dispute isn’t addressed or resolved within 30 days, the hard inquiries will be removed from your report. You can try to re-age your account to make it easier for you to catch up on your payments, or negotiate for a pay for delete option from your creditor. After 7 years from the date of delinquency, most creditors will have removed the negative item from your report automatically. But in cases that they don’t, you can file a dispute. Closed accounts are automatically removed after 7 years, but you can always try to negotiate with the credit bureau to delete them earlier, usually by paying a fee. If you want records removed earlier than 7 years, you can re-age your account (restart the date when your delinquency is recorded so you can catch up payments easier, or pay for deletion of the record. Collections stay for 7 years on your credit report, after which they get deleted. But if you have a reasonable creditor, you can try to strike a deal with them to delete the collections earlier. Student loans are just like other loan facilities, so you can wait for 7 years if you want the long-term option, or you can try to make a payment arrangement for deleting the record. If you are patient, you can wait 7 years to have negative items removed from your report. Or you can ask for goodwill deletion or pay for delete of the derogatory item. Unpaid tax liens can be reported indefinitely by creditors, but for paid tax liens, they usually delete the records after 10 years. Repossession happens when you become delinquent on your auto loan. You can try and file a dispute but if you’re really delinquent, then you can wait 7 years for it to be deleted automatically. The fastest way would be to file a dispute. If you win the dispute or the data is not verifiable, the item is deleted after 30 days. You can pay off the debt but it will still be reflected on the credit report. You can totally remove it by filing a dispute, re-aging the account, or bargaining for payment to delete the item. Chapter 7 bankruptcies typically lasts up to 10 years on the credit report, after which they are deleted. For Chapter 13 bankruptcies, it’s usually 7 years. Judgements are often removed less than 7 years after the date of the case filing, but some states do allow the maximum of 7 years. Depends on the type of public record. 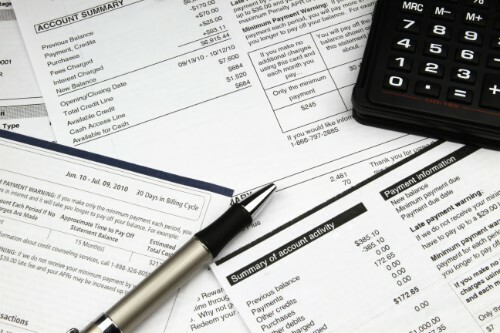 Public records can be bankruptcies, judgements, or unpaid tax liens. The maximum number of years they appear on your credit report vary. Discharged or settled debts are often removed by bargaining with your creditor through goodwill deletion, which has a better chance of approval since the debt has been settled. It depends. Delinquent payments that are just a few weeks delayed maybe removed with a simple goodwill request, while others will involve longer negotiations, if they are possible to remove at all. 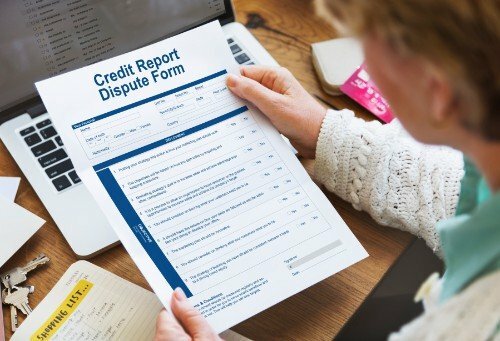 If the dispute has been resolved, you can have the dispute comments removed from the credit report by requesting it directly to the credit bureau. You do not have to do anything. Chapter 13 bankruptcy typically stays in your credit report for 7 years and is removed automatically thereafter. Depends on the credit agency. They have different processes on how you can remove an authorized user from your credit account. Delinquent closed accounts will be removed without you doing anything after seven years. For closed accounts that were never late, they will be removed after 10 years. Garnishment doesn’t appear on a credit report as it is a punishment for a specific judgement. You can always file a request to remove a fraud alert from your credit report. However, if in case you do not file any requests, they are automatically deleted after 7 years. Unpaid child support is treated like other kinds of debt, and therefore, can be removed by either waiting for 7 years or negotiating a pay for delete with your creditor. Since this is relatively a light offense, you can usually have it removed by issuing a goodwill request. You can also try to file a dispute if you think it was an erroneous entry. Revolving accounts are another term for credit card accounts. You will have to wait 7 years for a delinquent credit card account to be removed automatically. Medical collections, like other types of loan or credit, can be removed by either issuing a goodwill request, filing a dispute, waiting for seven years for the automatic removal, or hiring a legal professional to do it for you. A lot of other information regarding your credit report can affect your credit score and standing. Here are some of the things you need to know. No. Settling your collections does not lower your credit score any longer, but it will not also improve your credit score, so you better think about it first. No. Closing your account only means that you cannot use that account any longer, and does not improve nor hurt your credit score. The best way to increase credit score is to be on time with your payments. You can also try to increase you credit line without increasing expenditure, so the credit percentage used becomes lower. No, but it won’t improve it either. The records, whether delinquent or not, will still appear on your credit report. But paying off bills on time after catching up with your debts will certainly help boost your credit score. Yes. Most loans are deemed written off after 7 years from the date of your first delinquent payment. Yes. Unpaid medical debts can negatively impact your credit score, and like other loans, it can be sold off by the creditor to a collecting agency. Depends. If you already have a good credit, then it will be faster for you. You can continue paying bills on time, and always try to keep your credit usage low. If you have bad credit, then it will be a lot slower. 7 years is the usual length of time before bad credit is removed from your credit report. But it could be longer for other penalties such as Chapter 7 bankruptcy. Yes. You can pay off a charged off account but it won’t have an effect on your credit report by itself, so it must be done as a part of a bigger strategy to increase your credit score. Yes. 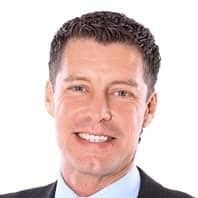 Collecting agencies cannot legally continue on trying to collect debts after seven years, although there are a few exceptions to this rule in some instances. Depends, but it is usually for 7 years when a debt is still recorded in your credit report. After that, except for special cases, the debt is written off. As a general rule, no. A debt has no right under the law to collect after 7 years, but there are a few special circumstances wherein the specifics of the loan is such that the creditor can still collect. The best way is to be apologetic and appeal to your creditor’s goodwill. At the end of the day, if you’re delayed in your payments, you need to negotiate with them so, it’s best to get on their good graces.